The latest report from popular benchmarking suite AnTuTu answers the most pressing question in the mind of those shopping for the ideal phone, i.e. with the best value-for-money ratio - what should I look for in one? 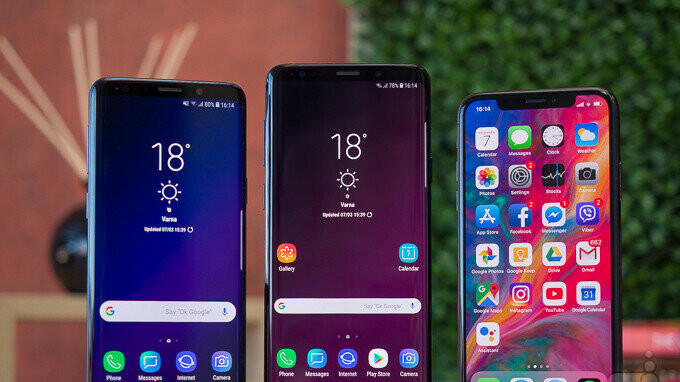 The report spans the millions of global users that submitted their results to the database in the April-June period, and if the takeaway from these fresh Q2 stats has to be only one, it's that phone screen sizes are indeed growing exponentially, especially comparing to the same period last year. So, what are the most widespread specs of a modern day phone that will likely net you the best value-for-money ratio, too? Well, ideally, you will fall in the majority with a handset that has at least a 5.5" display, Snapdragon chipset, 1080p screen resolution, 4GB RAM/64 GB storage, and runs on Android 8.0 Oreo. Don't let anyone tell you that you don't deserve it! We kid, but yes, these are the most popular specs in the chart breakdowns below. Bear in mind that people are usually putting their new phones, rather than old clunkers, through the benchmark grind, so those specs' popularity contest is probably only valid for handsets released in the first half of this year. As we already noted, screen sizes have indeed grown up the most on record in the last year, so the move to 5.5 inches as the most popular diagonal, followed by 6-inchers, is rather explicable. The growth of the 6" phones' market share is also noted, saying that they will soon replace the 5.5" mark as the most popular diagonal. What we were surprised to see, though, is that 1440p phone resolutions, like on the Galaxy S8 or S9, only occupy a small market share, while 1080p seems to be the norm. Oh, well, Chinese flagships are usually with FHD or FHD+ resolutions, so that could make sense as well. We liked the year-on-year increase in average RAM and storage sizes, but above all, we love that the most popular Android version is Oreo now. Again, one typically runs a benchmark on a new phone or after a major software update, so the aggregate Q2 database here is probably skewed towards contemporary handsets, but that's the whole point. 5.8" screen size is the best phone dimensions. Antutu, with bloat services that keep running even when not being used. Bench/uninstall. Yeah, there are many phones with mammoth batteries (up to 16,000 mAh from Energizer) with drop protection, but unfortunately most of them use a MTK processor. Maybe some OEM will use the new SD 710 or at least MTK P60. 4.3" is the biggest you can go comfortably with one hand use. You can stretch it to 4.7" if you have to but 4.3" is that sweet spot! Please give us smaller flagships again OEMS. 4GB of RAM is not ideal. I'd say 6 is the new minimum. The size of the Galaxy S8+ & S9+ is the optimum size for me. They are just 1cm taller than the old gen 5" phones & are perfect for 1 hand use. The Note 8 feels less comfortable to hold as it is more rectangular. Biologically speaking, "perfect" for one hand use was the original 3.5" iPhone. We adapted and now are mange to handle bigger displays, but it's hard to manage even 4.5", so 5.8" is overkill. S8/S9+ number not much, might be because of the scaled down resolution out of the box. so the Samsung result is counted in the 1080p result.